I’ve heard nothing but good things about Susanna Kearsley’s writing from some of my book blogger friends. I’ve been curious about her books for a while now so I was thrilled when my friend Heidi sent me a signed copy of The Winter Sea last year. I thought it would be a good introduction to Susanna Kearsley. I picked it up when I was in the mood for a historical fiction novel and I’m glad I did because I really enjoyed reading The Winter Sea. Carrie’s description of how writing makes her forget about everything else around her is similar to how I feel about some of the books that I read. Whenever I’m engrossed in a well-written novel, I tend to focus on it and ignore my surroundings. I really liked Carrie and Sophia and I was rooting for both of them. I loved that there was a sweet and slow burn romance for both of these ladies because they deserved to have that in their lives. Carrie’s story was more quiet and mellow compared to Sophia’s adventures during a difficult time in history. I was worried about how things will work out and that kept me absorbed in The Winter Sea until I reached the end. I even found the descriptions of the winter sea in Scotland charming, how it was described as kind of desolate but still has its own beauty. I’ve seen The Winter Sea compared to Outlander by Diana Gabaldon. I read the latter ages ago and wasn’t impressed. 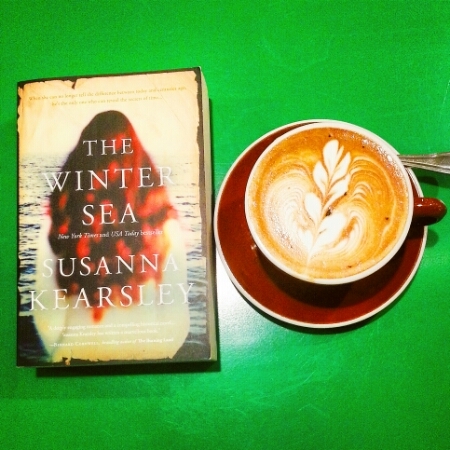 In my opinion, The Winter Sea is a much better read. I’m delighted to have discovered a new historical fiction author to enjoy. I’m already planning to reading the rest of her books. Mariana and The Rose Garden have been suggested as good ones. Although it’s a different kind of historical fiction, this reading experience reminds me a little of when I first found out about Mary Stewart just because it’s a lovely feeling to have an author’s backlist to look forward to. 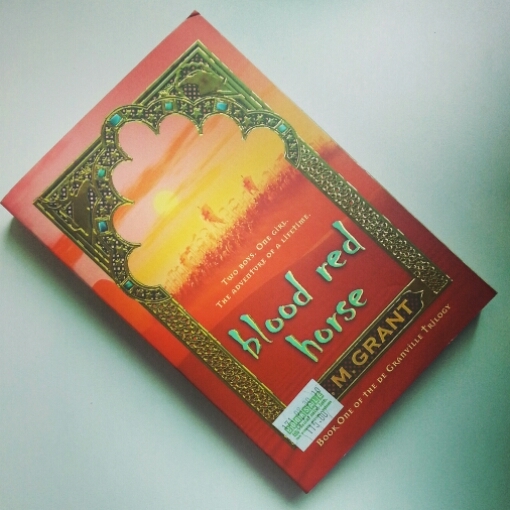 I became curious about Blood Red Horse by K.M. Grant back when Angie did a Retro Friday review of it. It seemed like a very interesting, under-the-radar historical fiction novel. I was delighted when I found a bargain copy of it in one of the used bookstores in Manila. I thought the cover looked great and I liked the gold accents in the design. That copy has been patiently waiting in my TBR pile for years. Since I’ve been trying to be better about reading books that I have physical copies of, I picked it up when I was in the mood for historical fiction. Will has a horse – a small chestnut stallion with a white blaze in his brow. Ellie is a fair maiden, but she’s supposed to marry Will’s older brother, Gavin. And as for the cause, King Richard is calling for a Crusade. The Knights of England must go to the Holy Land to fight. Blood Red Horse is set in the time period when Richard the Lionheart serves as the king of England and he leads his men on a crusade against the Muslim leader Saladin. To be perfectly honest, I know next to nothing about this part of history because it wasn’t included in the curriculum in schools back home in the Philippines. It doesn’t really matter since I was able to enjoy reading Blood Red Horse even though I’m not familiar with the historical setting of the book. I liked how the book starts with Ellie, Will and Gavin as young children and how we see them grow and develop throughout the course of the book. More so in the boys’ case as they march off to join the crusade with their father. The boys were thoroughly excited to be knights of the crusade, not knowing that war is such a bleak and miserable business. Ellie was left at home but she was destined to have adventures of her own. I’m usually not a fan of stories about war and true enough, I didn’t really enjoy the passages that centered around the crusade because I found it such a sad experience for the boys and everyone involved. As expected, there’s some violence in there but in an understated way. What I did like was how readers get to see two sides of the war, instead of being biased towards one side. They may disagree about their faith/religion but both leaders of the two groups, Richard and Saladin, see the other person as a brave and worthy opponent. As a result, there’s no clear villain in the story. What we have instead is two groups of people fighting for what they believe in. As I mentioned earlier, I also liked the character development of Ellie, Will and Gavin and I’m really curious what the next books will have in store for them. While I didn’t fall in love with Blood Red Horse, I did think it deserves more attention than it’s currently gotten. If you’re a fan of the historical period of Richard the Lionheart’s reign or of stories about horses, then I have a feeling you’ll enjoy this book. The Winner’s Curse came to my attention when my good friend Nomes mentioned that it’s one of her favorite reads for this year. For some reason, this title flew under my radar when it first came out. I think the cover doesn’t really represent the story very well and might be one of the reasons why I wasn’t initially curious about The Winner’s Curse. I tried reading a couple of chapters just to see if it’s something that I would be interested in and I was fully absorbed. I was surprised at how easy it was to get into the story. One day, she is startled to find a kindred spirit in a young slave up for auction. Arin’s eyes seem to defy everything and everyone. Following her instinct, Kestrel buys him — with unexpected consequences. It’s not long before she has to hide her growing love for Arin. I wish I felt that strongly about music but I don’t have the skill or talent for it. Instead, I will liken Kestrel’s passion to how I sometimes feel when I read – entirely focused in the world created by the author, paying no attention to other tasks that need to be done. Which is exactly what happened while I was reading The Winner’s Curse. To be honest, I have a hard time pinpointing why I enjoyed this book so much. I suppose it’s mostly because I like Kestrel, I like Arin and I like how their friendship developed. They’re both intelligent characters who slowly learn to respect and trust each other, in spite of their differences and the enmity between their nations. I also liked the setting and the contrast between the Valorian and Herrani cultures. How one was all about gaining power by expanding its borders, and one was a more peaceful culture centered around the arts. 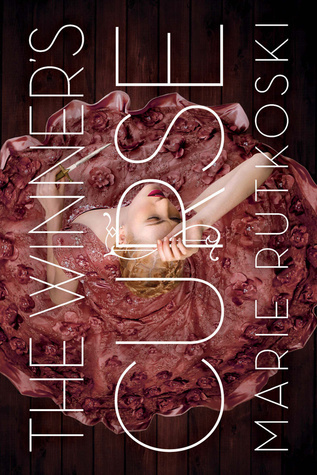 I was engrossed by The Winner’s Curse and yet I also feel like it could have been a stronger book. Let’s put it this way, this is a good introduction to the series and the story arc wraps up nicely but I feel like by the time the sequel comes out (maybe next year? ), I would have forgotten most of the details in this one. It wasn’t mind-blowing but it was a pleasant and enjoyable read which I recommend to YA fans, even those who don’t usually read fantasy. The bloggers behind Chachic’s Book Nook and See Michelle Read chatting about books, thousands of miles apart. 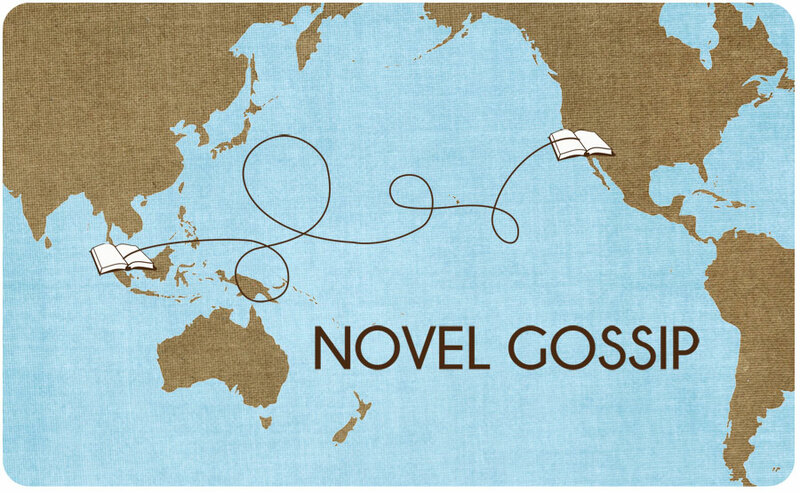 Novel Gossip is a new feature that my good friend Michelle and I started a few months ago. Our inaugural post was The Chocolate Rose by Laura Florand. 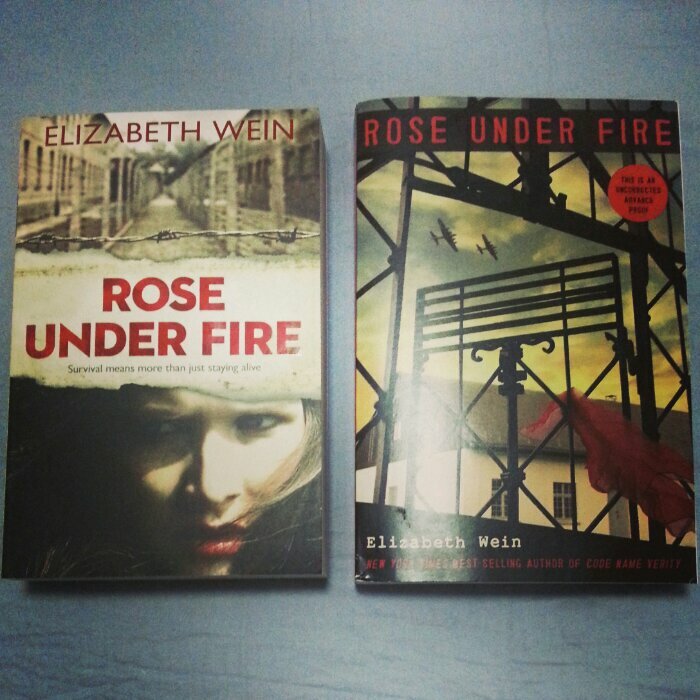 We both loved Code Name Verity by Elizabeth Wein (my review, Michelle’s review) last year so Rose Under Fire was one of our most anticipated reads this year. Since it’s a book set in a concentration camp, we were pretty sure that it would be heartbreaking and that it would be a good idea to read this together so we can provide moral support as we go along. Click here to read our thoughts about this historical fiction novel. While we did our best to refrain from putting in spoilers, it’s pretty hard to have an in depth discussion without going into some of the things that happened within the book. If you’d rather go into Rose Under Fire without prior knowledge of its contents, then feel free to skip our discussion (although we hope you’d drop by after finishing the book). As always, we had so much fun doing this. It was an interesting conversation since I’m not familiar with concentration camp novels while Michelle has read a lot of them. Plus we grew up in different countries and had different history lessons concerning World War II. It’s funny how details like this affect our reading experience. 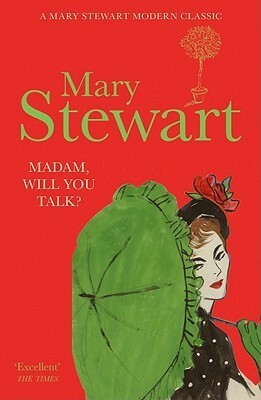 Watch out for our next Novel Gossip title: Madam, Will You Talk by Mary Stewart. One of my blogging goals this year was to write more Retro Friday reviews but I haven’t been able to do that lately. Sigh, you know what happens when real life gets in the way of things. Anyway, I thought I’d get back on track by reviewing one of my favorite books. After the Russian revolution turns her world topsy-turvy, Anna, a young Russian Countess, has no choice but to flee to England. Penniless, Anna hides her aristocratic background and takes a job as servant in the household of the esteemed Westerholme family, armed only with an outdated housekeeping manual and sheer determination. I can’t believe I’ve never written a review for A Countess Below Stairs (also published as Secret Countess). This and The Reluctant Heiress (also published as Magic Flutes) are my two favorite Eva Ibbotson novels. I’ve recommended both of them to so many friends. There is just something about Eva Ibbotson’s writing that makes her books feel good reads. A Countess Below Stairs is historical fiction but it has a fairy tale feel to it, with a Cinderella kind of vibe going on. I think it’s quite obvious from the premise where the story will go but how it gets there is what really matters. The main character, Anna, is one of those people who always sees something good in any situation. Anna was pampered by doting parents and because they were members of the Russian aristocracy, she pretty much got whatever she wanted. Surprisingly, she grew up to be down-to-earth instead of being a snob. Can I just say that I love how Anna’s family – her parents and her brother – is such an important part of her life? Anna is the kind of person that manages to brighten up everyone else’s day just by being so warm and pleasant. She keeps that sunny disposition even when her life changes drastically from living in luxury to having to work as a downstairs servant. Nope, poverty doesn’t affect Anna’s outlook in life. It’s not surprising that she easily develops a friendship with Rupert in spite of the difference in their social classes. Rupert is a dependable type of person and he feels that it’s his duty to marry well to keep Westerholme running. And there lies the problem. What I found interesting is that the story doesn’t just focus on Anna and Rupert but also includes a whole cast of secondary characters to liven things up. It may get a little confusing to keep track of everyone but I think part of the fun is seeing how Anna interacts with everyone around her. Writing this review is making me want to reread the novel. I wish I had my copy here with me but sadly, it’s back in Manila. 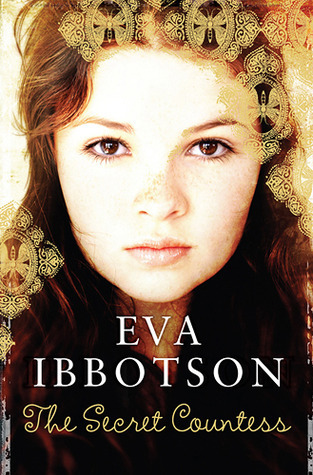 I’ve gone through Eva Ibbotson’s adult (now marketed as young adult) titles and would love to get more recommendations similar to her writing. If you’re interested in historical fiction or if you just want a feel good book, then you should definitely pick this up. 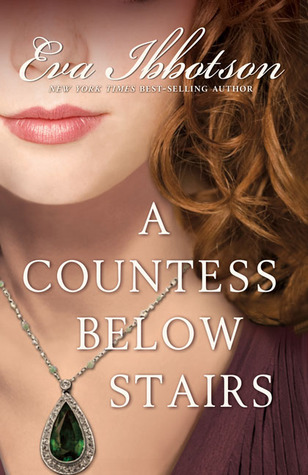 A Countess Below Stairs also provides an interesting glimpse of what life is like for servants back in the day, which is why I think this would be a good read for any Downton Abbey fan. 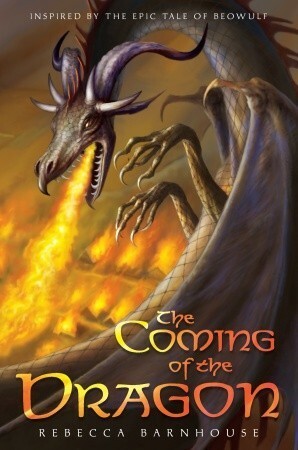 The Coming of the Dragon by Rebecca Barnhouse is a retelling of the latter part of Beowulf. I don’t think I’ve ever read Beowulf or a retelling based on it. I don’t know much about this epic tale because we never studied it for school. The Coming of the Dragon came highly recommended by both Brandy of Random Musings of a Bibliophile and Charlotte of Charlotte’s Library so I decided to give it a go. Also, I’m very curious about the companion novel, Peaceweaver, because Ana and Thea of The Book Smugglers gave it a positive joint review. You can imagine my delight when I discovered that both books are available in the library. Yay for making the most out of my library membership! When he was a baby, Rune washed up onshore in a boat, along with a sword and a pendant bearing the runes that gave him his nickname. Some people thought he was a sacrifice to the gods and wanted to send him right back to the sea. Luckily for Rune, King Beowulf disagreed. He lifted the boy from the boat and gave him to Amma, a wise woman living on a farm far removed from the king’s hall, to raise as she saw fit. Sixteen years later, Rune spends his summers laboring on the farm. And at King Beowulf’s request, he comes to the hall each winter for weapons training. But somehow he never quite fits in. Many people still fear he will bring a curse on the kingdom. Then a terrible thing happens. On a lonely crag on a mountain that belongs to the giants, someone awakens a dragon. It is time for Rune to find the warrior inside himself and prove to the doubters once and for all that he is a true hero. If you’ve been following my blog for a while now then you’re probably aware that I read all kinds of books but I rarely venture into middle grade territory. I only do that when a book comes recommended by book bloggers I trust. And when I end up enjoying the book, I usually feel like I would have loved to read it when I was in the target age for it. The Coming of the Dragon is one of those novels. I really liked Rune’s character development – he starts off as an insecure young man but grows into something more as the story progresses. I understood how difficult and confusing life must have been like for Rune while growing up. I mean it’s hard enough to figure out what you’re meant to do with your life but with Rune, he had to deal with not knowing who his real parents are or where he came from. He desperately wants to prove himself, he just needs the chance to do so. I liked how the change in his character from the beginning to the end wasn’t drastic, it felt believable based on the challenges that Rune experienced. There is magic in this book but most of it is subtle, aside from the presence of the dragon. The novel reads more like historical fiction instead of epic fantasy. Maybe I should just describe it as historical fantasy and leave it at that. Like I said, I’m definitely not an expert when it comes to Beowulf or this time period so I’m not sure how accurate the setting is. What I can just say is that I enjoyed reading about the characters and their struggles to overcome their biggest foe: the dragon. I found the first few chapters a little slow but things picked up towards the end. Also, I got the feeling that the kingdom wasn’t that big? I was wondering why there weren’t more people who were there to fight against the dragon. Although that might really be the case, Beowulf’s kingdom might just be a small one. I was really curious about Peaceweaver after reading this one and was a bit disappointed to discover that it’s not a sequel but a companion novel instead. It doesn’t continue the story after The Coming of the Dragon but occurs simultaneously with the events of the novel and features a different character. I’m still interested in reading it though, I just hope Rebecca Barnhouse returns to Rune’s story. Would you happen to have any other recommendations based on Norse mythology? I Capture the Castle by Dodie Smith is a favorite of so many readers. It’s been on my radar ever since I read The Lost Art of Keeping Secrets by Eva Rice a few years ago and heard that the two books are very similar. I have no idea why it has taken me so long to pick up I Capture the Castle but you know what it’s like, you have to be in certain mood to read some books. I finally felt like reading this a few days ago and I’m glad I did. 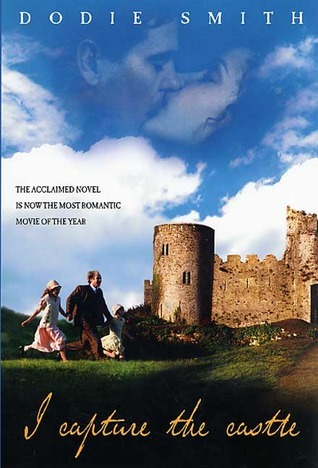 I Capture the Castle tells the story of seventeen-year-old Cassandra and her family, who live in not-so-genteel poverty in a ramshackle old English castle. Here she strives, over six turbulent months, to hone her writing skills. She fills three notebooks with sharply funny yet poignant entries. Her journals candidly chronicle the great changes that take place within the castle’s walls, and her own first descent into love. By the time she pens her final entry, she has “captured the castle” – and the heart of the reader – in one of literature’s most enchanting entertainments. Cassandra is obviously a girl I can be friends with. The rest of the characters are also quirky and they come alive through Cassandra’s descriptions. I love that she starts a journal because she wants to improve her writing. Also, writing by candlelight or moonlight adds to the atmospheric feel of the novel. In the months while she’s writing, Cassandra really grows as a character. I like how she falls in love and learns to evaluate herself by examining her own feelings. I wasn’t into the romance as much as I’d like but I appreciate how it contributed to Cassandra’s character development. After all, I think that’s what the novel is all about – the life of a young woman set in 1930s England. I have a used copy of the edition that has the movie cover and I must say that I’m not a fan of its design. I’m itching to watch the movie though and see if it’s just as good as the book. Maybe I can post about it here on the blog as well. I Capture the Castle is a delightful read, I feel like this is the kind of book that you can read even if you’re about to experience a reading slump. Highly recommended for historical fiction readers and fans of Eva Ibbotson’s YA novels (note that those titles were originally published for adults and only repackaged as YA a few years ago). I wouldn’t mind reading more books similar to this one. 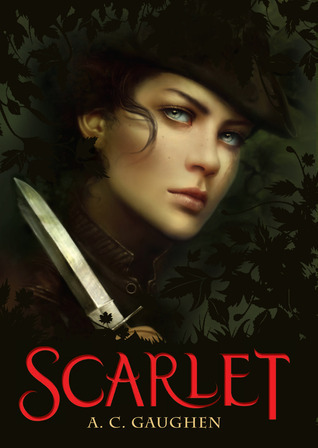 A.C. Gaughen’s Scarlet is a Robin Hood retelling. I found out about it when trusted book bloggers started giving it positive reviews. I was delighted when this pretty little book showed up in a surprise package that I received a couple of weeks ago. Again, thank you to the lovely ladies – Angie and Holly – for sending me a copy of this. I couldn’t resist reading it right away, you guys know how fond I am of thieves in fiction. “I left little packages in front of the doors; the people looked for them in the morning, and I knew, in some bit of a way, it bucked them up. You got to love a thief with a conscience. She steals not for herself but for the people. It’s rare for a sneaky thief as good as Scarlet to be afraid of anything but her comrades quickly discover that there’s something about Gisbourne, the Thief Taker, that frightens Scarlet. I liked this air of mystery about her, it made the book a quicker read because I kept going, waiting for Scarlet’s past to be revealed. I also liked the slow burn romance although I’m not a fan of the love triangle. It’s not surprising that more than one guy is interested in our feisty heroine but I did feel like it was unnecessary for her to have more than one love interest. As expected, Scarlet was a really enjoyable read. Highly recommended for fans of Robin Hood retellings, thieves in fiction and girls in disguise. Will I be checking out A.C. Gaughen’s books in the future? Definitely. Historical romance, say what? Regular readers of this blog are probably wondering why I’ve decided to feature a historical romance author when I barely read books from that genre. Most of the romance that I read are contemporary novels but when certain books come highly recommended by those I trust, I’m willing to give them a chance. I remember hearing about Joanna Bourne through Sounis, the LiveJournal community for fans of Megan Whalen Turner’s books. That was before I started this little bloggy. I can’t even remember who first mentioned The Spymaster’s Lady but I do recall that it was said that it’s a good read if one can stomach the naked manly chest on the cover. When I saw a copy in a local bookstore, I decided to give it a try. I’m so glad I did! 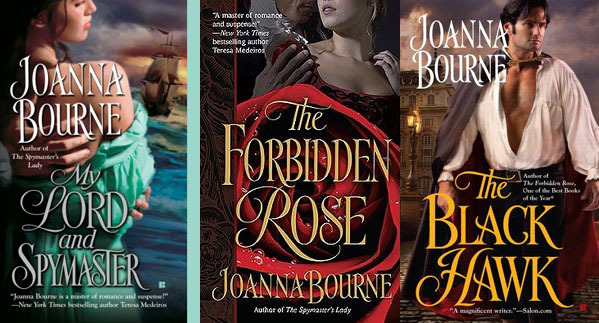 I enjoyed The Spymaster’s Lady enough to read the rest of Joanna Bourne’s novels when they came out. I like her novels because of all the spying, clever plot twists and witty dialogue. Oh and all the tension leading up to the sexytimes. Joanna Bourne made me realize that spying is pretty similar to thieving and you all know how fond I am of thieves in fiction. If this sounds like your cup of tea, then go ahead and pick up her novels and feel free to let me know what you think of them. I always think it’s a good thing when an author surprises you with how unexpectedly good his or her writing is. More so when the novel is from a genre you normally wouldn’t read. It’s good to step away from your comfort zone from time to time, right? I’m in the middle of The Black Hawk, Joanna Bourne’s latest, which reminded me of how much I enjoy reading her novels so I decided to talk about them here. Have you ever given an unfamiliar genre a try? What was your experience like?